This custom Lotus automatic knife was hand-made by Cory Vallotton. 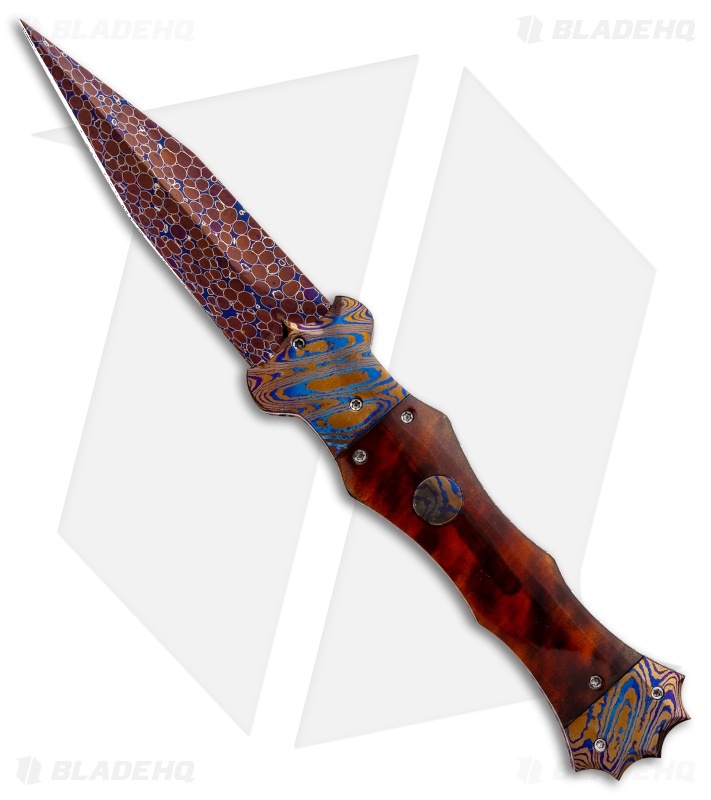 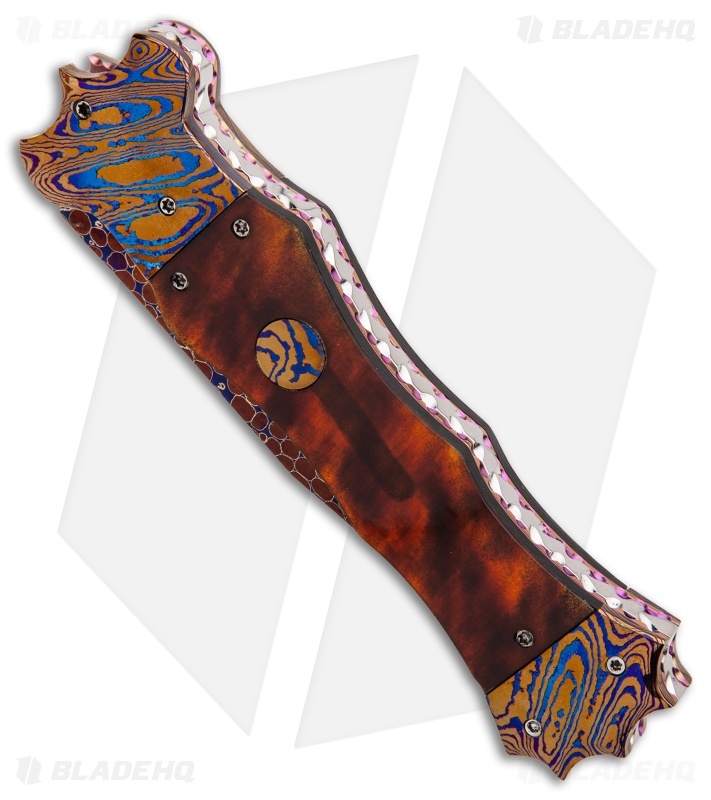 It has a Bertie Rietveld "Dragon Skin" Damascus blade and Moku-Ti bolsters. The handle features tortoise scales, purple anodized titanium liners and a stainless steel backspacer. 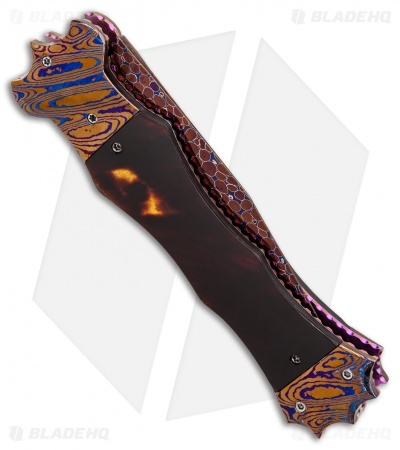 The liners and backspacer are filed, adding an elegant touch and texture to the knife. The Lotus includes a certificate of authenticity, signed by Cory Vallotton.